With all the new development happening in Brisbane right now it would be fair to say that this is the year that the city comes of age. 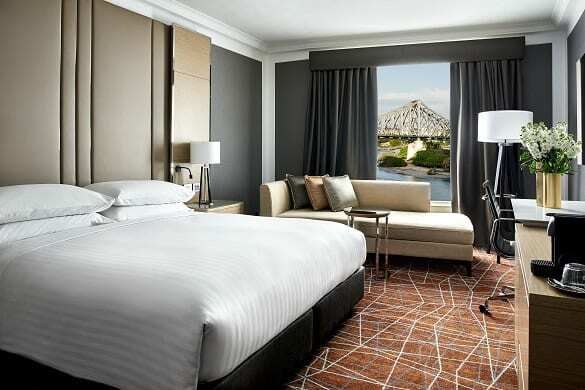 So it seems entirely appropriate that 2019 also marks the year that Brisbane Marriott Hotel celebrates its 21st birthday with the completion of a $20 million renovation project, which has seen the transformation of the hotel’s 267 guest rooms and suites, Executive Lounge, two floors of event space and signature restaurant. The new look is all about Queensland’s lifestyle and climate, with light coloured timbers, textured wallpaper and a soft colour palette all combining to provide a welcoming and airy setting. The reinvention of the Greatroom Lobby provides an inspiring first impression. 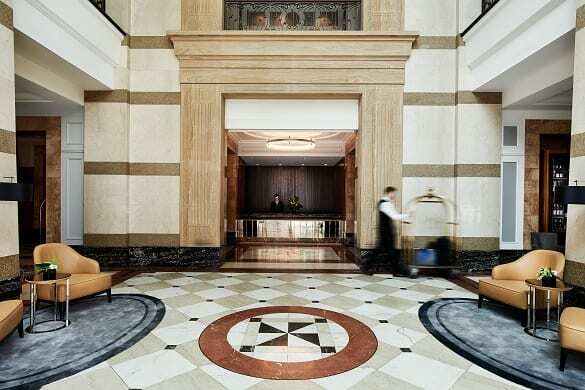 Marble, granite and Grecian sandstone columns span 3.6m in diameter and the hand-forged chandelier is truly the Lobby centre piece, completing the sophisticated and grand sense of arrival. In the newly refurbished guest rooms, ceiling height fabric bedheads feature backlighting which creates a soothing evening ambience, while the stunning bathrooms feature restored, original marble, magnifying mirror, roomy baths and separate shower. 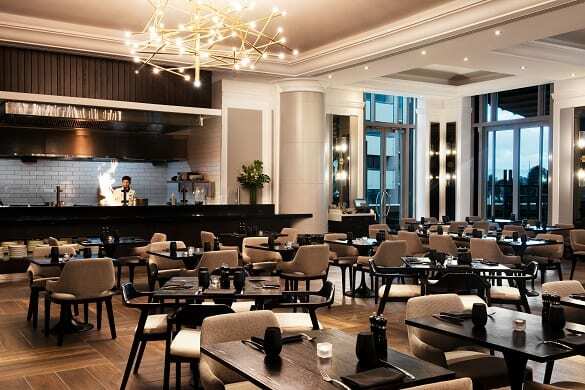 Brisbane Marriott’s Motion Dining restaurant features a number of dining locations, including tables which overlook the theatre of the Grill, high set tables located in the stylish M Bar and alfresco dining with river views on MDeck. Overseen by award winning Executive Chef Peter Iwanczyk, the menu showcases locally sourced ingredients, including some of the best and freshest Queensland prime steaks, oysters and finest Queensland seafood. 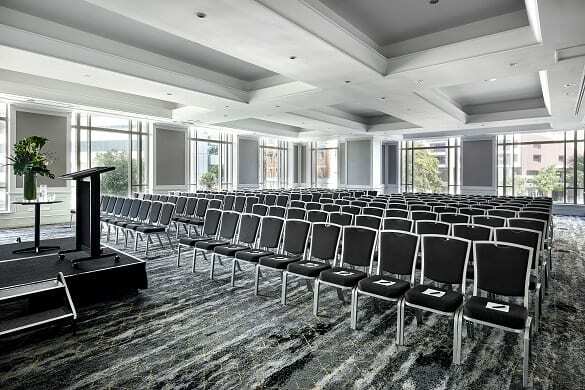 A new look for events are also on the menu across Brisbane Marriott’s 11 flexible event spaces divided across two floors, which have been engineered to maximise space and provide refreshingly modern rooms for delegates. The Grecian inspired pool deck is the perfect area to take some time out and soak up the stunning views of the Story Bridge, as well indulge at Dome Spa & Retreat, sauna, sundeck or the fully equipped gymnasium. But it’s not just what’s happening in the hotel that is generating excitement, but also the reborn Riverside precinct just a stone’s throw away at Petrie’s Bight. Follow the nearby City Reach Boardwalk along the river to find the Howard Smith Wharves, which have been reimagined as a dining and entertainment precinct right under the Story Bridge. 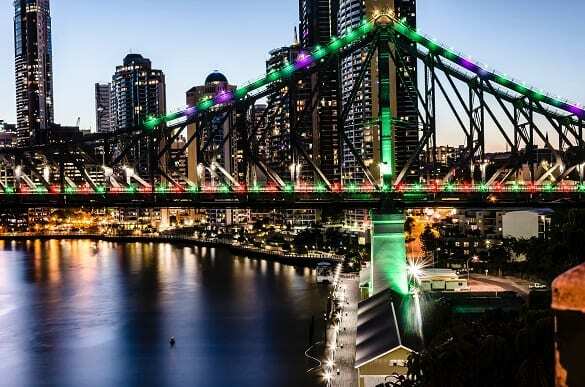 The long awaited six year project will be fully complete by March, with locals and visitors alike already flocking to Brisbane’s hottest destination to eat, drink or hold an event. Take your pick from fine diner ARC headed up by Sydney hotshot chef Alanna Sapwell, overwater bar Mr Percival’s, new brewery Felons or Greek tavern Greca by Sydney restaurateur Jonathan Barthelmess. 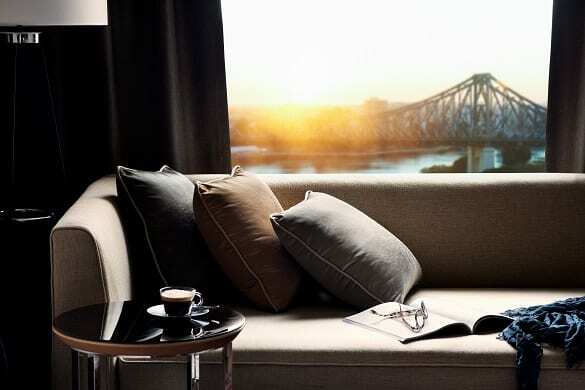 The Riverside precinct is developing as a world class destination and a newly imagined Brisbane Marriott is perfectly located to take advantage of everything on offer.